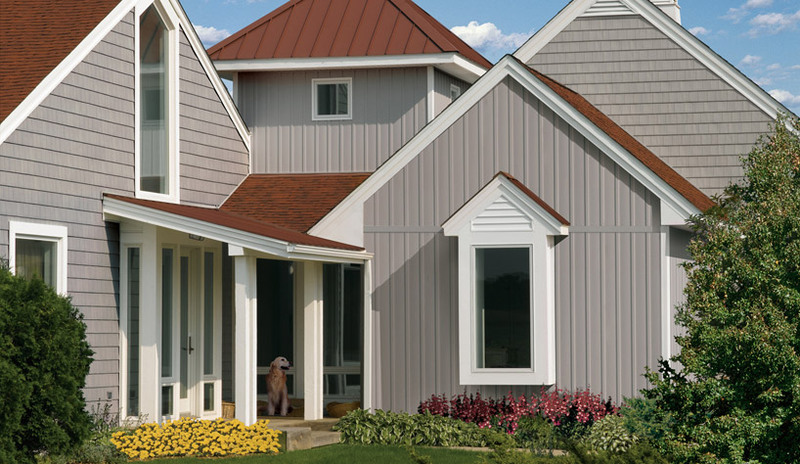 Vinyl Siding is the number one selling home siding material in the U.S. It out sells all other siding materials put together! 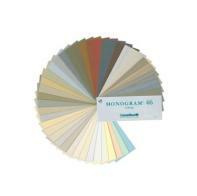 Pro's: It is easy to install, it's affordable, half the cost of real wood, comes in wide range of colors, textures and styles. 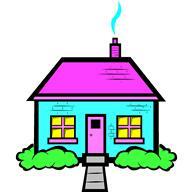 It can be retrofitted over most existing home exteriors and it requires very little maintenance. It is insect-proof, dent-resistant, will not rot, and never needs painting! 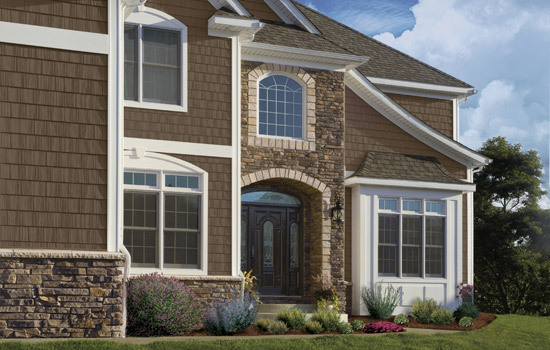 Con's: It will burn, has very little insulating factors by itself, and if you don't get a good quality brand and a good quality installation, it will look like vinyl siding. This site is designed by some old home improvement contractors. 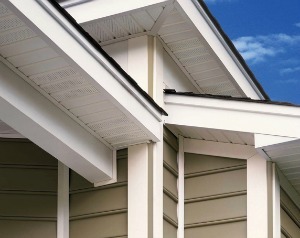 Every day we work with homeowners who what to install vinyl siding on their houses but have no idea how to get started. We will show you how to get started and what to do first, second and so on. 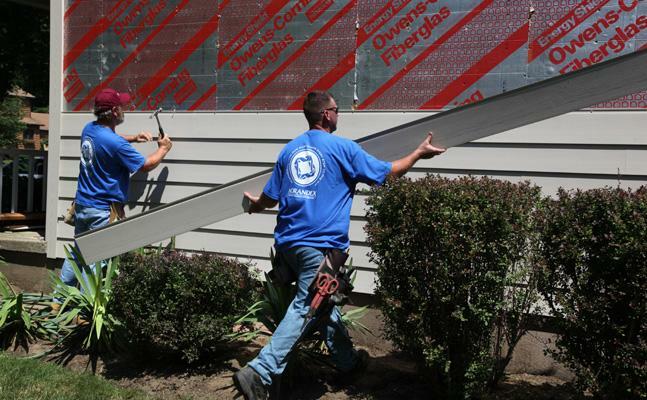 Homeowners need to have done some homework and know several things about siding before calling any contractors, or you won't know what questions to ask the contractor. If you don't know exactly what to ask for, you won't get it! 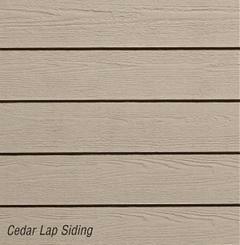 We will show you how to pick the best siding for your house and how to work with your contractor to get the very best price possible. Compare prices of the products, see what other people are paying for similar products in your area. 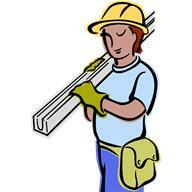 Then call several contractors and have them give you prices on the products you have already picked out. Now you can easily compare different quotes apples 2 apples. And will save you a lot of money and time! 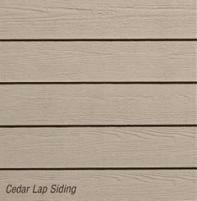 Click here to see pictures of homes using vinyl siding..
How much does it really cost to install new vinyl siding on your house? 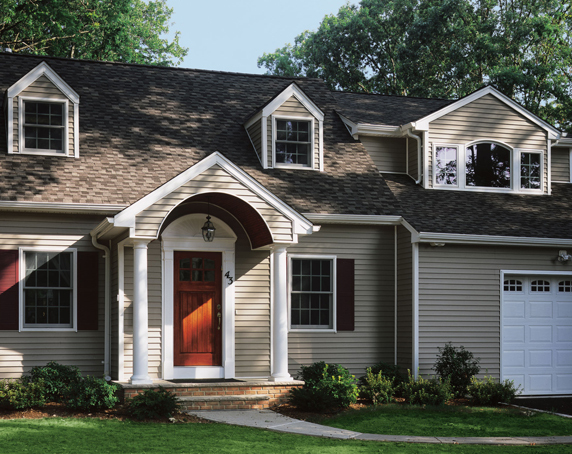 Total vinyl siding cost is made up of several different pricing components. Click here to see more information on what contractors look at when pricing your job, go to Vinyl Siding Costs. 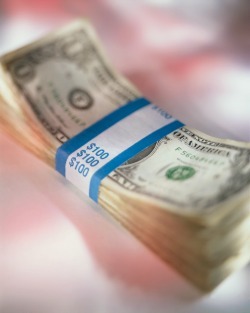 There is more to costs than just the price you pay for the siding.